Even though it is Saturday evening, I am impatiently waiting for breakfast tomorrow. 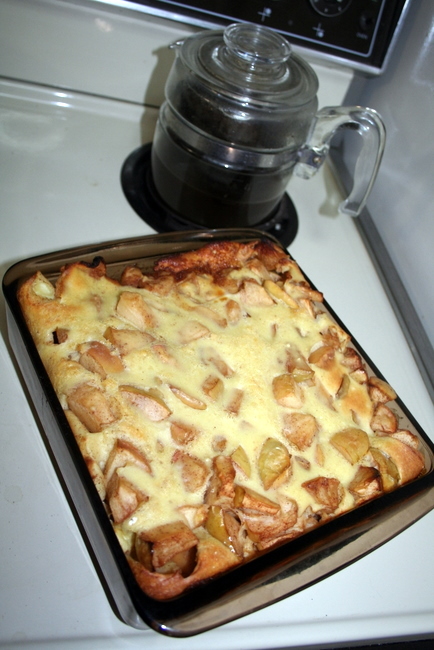 I will be making my all time favorite breakfast - Puffed Apple Pancakes along with some good, fresh coffee! The apple pancakes are actually baked in the oven and are fairly easy to make - apples, cinnamon, vanilla, milk, eggs, flour, and a touch of sugar. They are scrumptious fresh out of the oven, delicious warmed up in the microwave, and tasty even when cold! Would you share your recipe? looks YUMMY. Peggy - let me know what your email address is and I can send it to you. I would love the recipe too, it looks yummy! !